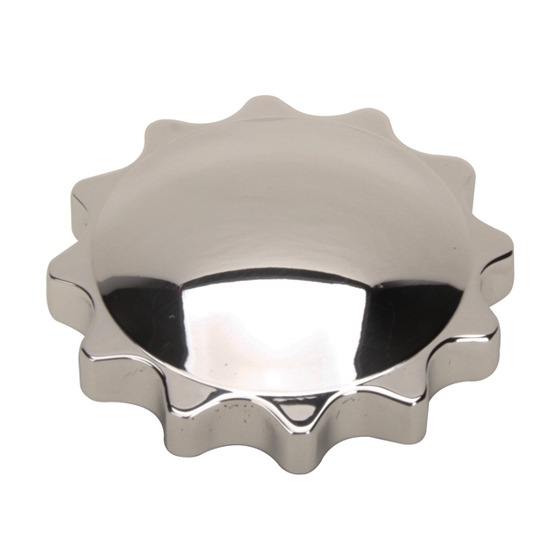 This sprocket style gas cap from OTB Gear is constructed from high grade aluminum. This sprocket series gas cap fits Chevy style filler necks for 1928-1965. Note: Will not fit under hinged style gas doors.